As my kids have gotten older, I have started worrying less about what they are packing for lunch, and more generally about how they are living (or will soon live) on their own. My friends and colleagues, however, tell me packed lunches have gone from basic to anything but, with many Pinterest pages dedicated to packing perfectly rolled peanut butter “sushi,” cold noodle salads and chicken satay. Where’s the plain bologna sandwich that used to be a staple of kids’ lunches? That’s why it was especially interesting to me to read in Wall Street Journal about how Kraft Heinz relied on supply chain transformation to boost efficiency in its production, including that of cold cuts. In 2015, 3G Capital LLC took over Kraft and immediately went to work closing facilities, such as the original Oscar Mayer headquarters in Madison, Wisconsin. According to the Wall Street Journal, some cold cut production moved from a six-story former slaughterhouse built in 1872 to a brand-new, $225 million plant, capable of making 2.8 million pounds of sliced meat each week — 17 percent more than the old factory with 500 fewer workers. The article outlines the process for mass producing cold cuts and explains where time was shaved and waste was eliminated. In addition, Kraft Heinz started using computer modeling to analyze from where its ingredients were coming, where its finished products were shipping and the cost and availability of workers and other resources. Product lines were put together logically. For example, the bologna line from the old Davenport, Iowa plant was shifted to join the chopped ham line in Kirksville, Missouri, because the lines use similar ingredients and processing techniques. Still, the new plant was built near the old Davenport one because of its location near meat suppliers and distribution centers. Kraft Heinz reports its savings, much of which was achieved through supply chain efficiency, will reach $1.7 billion in annual spending. The company’s continuing hurdle will be U.S. sales of cold cuts and processed meats which continues to decline, going from $21.9 billion in 2015 to $21.3 billion in 2017. S&OP is one of the most common searches on the APICS website, so we know people are hungry for information, and APICS has resources to help you use S&OP to advance your organization. 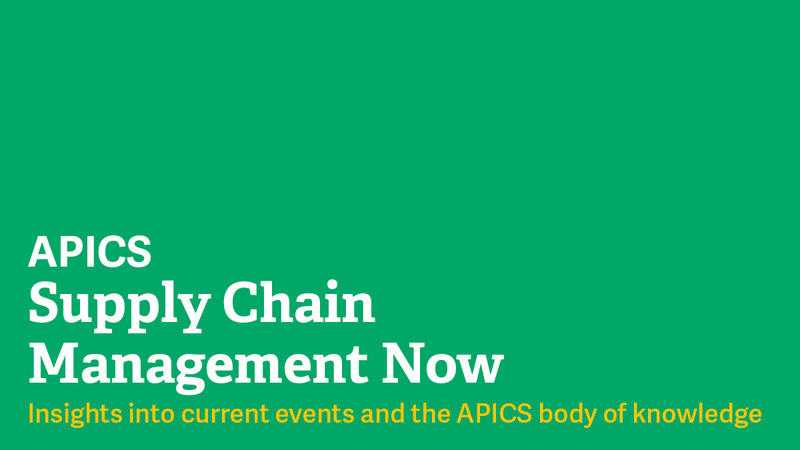 Look at the APICS magazine demand planning, forecasting and S&OP. Once you have read the basics, consider attending the APICS Best of the Best S&OP Conference, June 14-15, 2018, in Chicago. You can browse the schedule and register at https://ibf.org/events/chicago2018/.